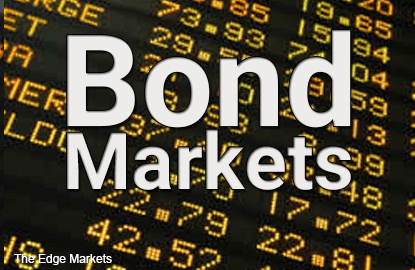 SINGAPORE (Nov 18): When Donald Trump won the presidential elections, it sent US Treasury 10 year bond yields higher at 2.2% from 1.8% before the election, due in part to the possibility of more expansionary fiscal policies. “The fundamental outlook for 10-year US Treasury yield does suggest that there is room for yields to rise but the pace at which it increased post-elections looks excessive,” explained James Cheo, Bank of Singapore’s investment strategist, who added that term premiums which have been negative since the start of 2016, are likely to turn positive. As it is still early to speculate on how the new administration will choose to govern, Cheo expects markets to continue to “oscillate between hope and fear”. Cheo recommends investors reduce their portfolio duration risks, by moving their long-dated bond positions to shorter durations of five years or less. “Given the difficulty and lags in translating what Trump says he will do into actual policies, we are careful at not to extrapolate too much of recent market moves into the future,” said Cheo. Cheo also recommends investors take profit on their emerging market bonds and reduce their exposure to the asset class, particularly among the high yield EM bonds because of the unpredictability of Trump’s policies. That said, Cheo admits that the outlook of emerging markets needs to be more “nuanced” as the differentiation within the emerging market asset classes would determine the winners and losers with different monetary, trade and fiscal policy moves. According to Cheo, EM bonds would continue to perform well if US fiscal policy expansion is coupled with a non-threatening trade policy and no further rate hikes from the Federal Reserve. On the other end of the spectrum, the EM carry trade would most certainly be affected if trade protectionism was combined with expansionary fiscal policy and the Fed in turn responded with measures to counter increasing inflation. Somewhere between those two extremes, where the anti-trade stance is not as bad as most believe, Cheo thinks that “the capital appreciation of EM bonds will be limited with its coupons as the main source of its returns”. Even then, he notes there is a difference between certain bonds. “EM sovereign bonds which are less affected by global trade with relatively strong external balances will be more resilient, while EM sovereign bonds with a bigger exposure to external trade and poorer economic fundamentals would probably be more vulnerable”. With US high yield bonds, Trump’s proposed higher fiscal spending and deregulation of the oil sector could be a boon, as the odds of a US recession within the next two years becomes less likely. That would mean a delay in increased default rates in the high yield space and the widening of spreads in the short term. But, if Trump pushes ahead with his immigration curbs while higher fiscal spending occurs when the US economy is close to full employment, it could lead to a deterioration of wage and inflationary pressures, and may drive the FED to raise rates aggressively. “Given that the outlook is still not clear, we are maintaining our underweight position in US HY bonds, but we are monitoring the situation as it develops,” explains Cheo. What about Singapore yield plays like REITs? Cheo notes that the yield spread between Singapore REITs and that of Singapore government bonds remain above its historical average, “which means that there is still value in the Singapore REITs space”. That said, Cheo advises investors to avoid REITs that are highly leveraged, and seek out REITs that have low leverage and are still able to grow its dividends.